"I grew up in the cultural openness and wild sacred energy of Southern California. I was not raised conventionally or religiously. Freedom was the keynote of my parent's philosophy. At thirteen I went to a conservative Boy's Academy in Connecticut. These were four years of blessed discipline. The effect of this almost monastic atmosphere was a great intensification of my awareness. Here, under the guidance of wonderful minds and spirits, I became a practicing poet, philosopher, musician, and spiritual seeker. These four strands have interwoven in my life ever since then. "Rather than returning to the cultural comforts of California, I remained in the more challenging context of the east coast, attending Yale University for four years, then moving to New York City. I graduated in Philosophy, with an honors paper on Soren Kierkegaard, my first formal spiritual guide. Kierkegaard opened wide for me the dimension of the spiritual, which he clearly demonstrated to lie beyond what he called the aesthetic and the ethical or logical. "At age 19, I became consciously Christian, under the guidance of the father of a college roommate, Vine Deloria Senior, a Lakota Sioux Episcopal priest. The rich, non-European Christianity of Father Deloria, subtly based in his Native American heritage of vision-quest, blended into the intense, existential Christianity of Kierkegaard, with its sharp critique of Hegelian rationalism, the tendency of European expansionist thinking. Thus, my spiritual life began as a confluence of European and non-European currents. "During college, I encountered traditional Zen through Alan Watts as well as the non-tradition of Krishnamurti. I also discovered The Gospel of Ramakrishna, which I began reading after graduation in 1963. I met the author of this extraordinary book, Swami Nikhilananda, by visiting the address of the publisher, printed on the back cover. 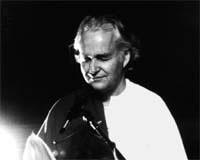 My wife Sheila and I studied, traveled and meditated with the Swami for the last seven years of his life. He became the God-father of our four children. Following his guidance, I began studies for the Ph.D. at Columbia University, finally completing my dissertation on the Gaudapadakarika in 1976. My gratitude to him knows no bounds. "During my ten years as a graduate student, I became a radio journalist, broadcasting a weekly, two hour interview show called "In the Spirit," over New York radio (WBAI), from 1971 to 1984. This endeavor involved a tremendous amount of fieldwork in newly emerging American spiritual consciousness, as well as an opportunity to meet the finest representatives of world-traditions who visited New York City. I met literally hundreds of teachers and students - both unknown and well-known, both authentic and not-so-authentic-observing the interesting dynamics of cultural interaction and spiritual growth. At this time I also began to study classical Indian music under the master sarodist, Vasant Rai. "In 1975 I offered a course at the new School for Social Research. These well- attended spring term lectures were recorded, transcribed, and painstakingly edited. They became Coming Home: The Experience of Enlightenment in Sacred Traditions, published by Doubleday in 1978. Some twenty thousand copies were sold before the book went out of print. In 1988, Jeremy Tarcher reprinted Coming Home, and it has become a classic in its field. 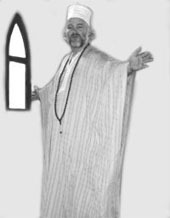 "In 1980, I accepted the formal responsibility as a spiritual guide, or Sheikh, in the seven hundred year old Khalwati-Jerrahi Order from Egypt and Istanbul. My duty included care and guidance for four communities of Sufis. I was privileged to make the traditional Hajj, or pilgrimage to Mecca and Medina, with my Sheikh in 1980, at the pivotal age of forty. Three books emerged from this Islamic experience: Heart of the Koran published in 1988, Recollecion de la Miel (Gathering Honey) published in 1989, and Atom from the Sun of Knowledge. These books are well regarded by Muslims and non-Muslims alike and they represent a kind of informal peace initiative. "Beginning with Zen, under the Japanese master Eido Roshi during the late sixties, and moving into Tibetan Tantric Buddhism in the mid seventies, my study and practice of Buddhist meditation has been ongoing. A book, Mother of the Buddhas, has emerged from this experience as well. My wife and I were privileged to make the pilgrimage to Bodhgaya and Sarnath in India with our Lama, Tomo Geshe Rinpoche, in 1981. In 1983, Sheila and I entered a formal, three year study of the mystical theology of the Eastern Church at Saint Vladamir's Seminary. We sacramentally joined the Orthodox Church, attending for a period of several years, and we still attend the chapel there as parishioners. None of these spiritual studies and practices have become outmoded in my life, and I try to remain current in four sacred traditions - Ramakrishna Vedanta, Vajrayana Buddhism, the Jerrahi Dervish Order, and Eastern Orthodox Christianity. "In 1992, came the publication of Great Swan: Meetings With Ramakrishna. This book holds the key to unlock all my life experiences. It provides a bridge between East and West, a bridge which I have crossed in both directions and which many people will be able to cross comfortably, maintaining their intellectual, cultural and spiritual integrity. Essential secrets for the unfolding of cultural interaction and spiritual growth in the 21st century are encoded in this vibrant portrait. With Ramakrishna as our inspiration, our subtle task is to create a global society based on the intuitive sense of the Sacred, a society with rich diversity yet without boundaries." Lex "entered" final liberation on November 1st, 1995, which was also, fittingly enough, both All-Saints Day and Jagaddhatri Puja, the holy day dedicated to Sri Sarada Devi's chosen ideal. He remained conscious and light-hearted right up to the moment of leaving the body, despite dealing with cancer. Lex Hixon "passed away" as he had lived, consciously, happily, and spiritually. His final book entitled "Living Buddha Zen" was released just prior to his passing. From the early 1970's through the late 1980's, Lex Hixon hosted a radio program at WBAI in New York City that was unprecedented in its depth, scope, insight and creativity. Entitled "In The Spirit," it appeared as both "Body/Mind/Spirit" for a time and "Spirit/Mind/Body" as well. On this long running inspirational program that spanned two decades and which was sponsored in listener supported fashion on WBAI Radio, Lex interviewed educators, healers, clergy, authors, artists, psychics, spiritual leaders, teachers and a host of others. As a list, the fruit of this selfless work reads like a comprehensive Who's Who of the spiritual, artistic and intellectual heart and mind of both eastern and western cultures. With subtle tenderness and insight, though never lacking the penetrating edge which makes for excellent broadcasting, Lex welcomed the orthodox and the unorthodox, the conservative and the radical, the famous and the obscure, the popular and the controversial, the powerful and the humble, the aggressive and the retiring. He interviewed swamis, priests, rabbis, roshis, sheikhs, rinpoches, yogis, gurus, poets, musicians, psychics, occultists, authors, writers, teachers, politicians, businessmen and more-a collection which also includes such guests as the Dalai Lama and Mother Teresa, to name a few. This set of programs, which numbers over 300 titles, is now offered on CD in individual recordings ranging from the half-hour interview to the ninety-minute program. Special rates are available for those who are interested in the entire set of 331 programs or for orders exceeding 10 programs. 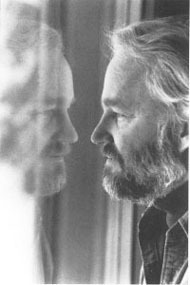 Lex Hixon's literary works came about from direct experience in the field of spirituality combined with intellectual refinement and human sensitivity. Being intensely involved in both the cultures and religions of the world, his was a view of universal acceptance honed by discrimination and dedicated to harmony based on unity. These living books are for all who take their spiritual path seriously as also for those who desire to intensify their commitment to and expand their understanding of religion, philosophy and spiritual life. Additionally, novices and newcomers to the path will find in these works a timeless message of hope and inspiration which will facilitate a transformation of the human mind and a spiritualization of everyday life.